Hello Kitty and Friends at Universal Studios Hollywood! I am so excited to share who the brightest star is to hit the Hollywood scene is…it’s no other than our favorite Hello Kitty! With her signature red bow, she is now the star of Universal Studio Hollywood’s newest Animation Studio store! Hello Kitty and friends are no stranger to Universal Studios. As I shared in a previous blog post in 2016; they brought lots of cuteness to Universal Studios in Florida. Now Hello Kitty, My Melody, Keroppi, Pompompurin and My Melody are bringing kawaii to the West Coast! Yay! The new Animation Studio store sure is bringing plenty of Sanrio star power as seen in several lovely details throughout the vicinity. There’s even a collection of Sanrio-themed topiaries right outside the store. The attention to detail in the new 6,000 square foot structure is not only cute but amazing as well! Walking in one will be treated to true Hello Kitty and friends happiness! There is a wonderful selection of park exclusive merchandise that includes accessories, apparel, stationary, souvenirs and collectibles! Sanrio star power can be found in every corner! One truly will be Sanrio star struck! One of the many fun aspects of the store is the feature of several Sanrio characters into classic Universal movies! Hello Kitty is seen as part of Jaws, King Kong, Back to the Future and many more feature films. Hello Kitty Foodies are sure to love the delectable confectionary array of goodies that are also offered here! Baked fresh daily are tasty treats featuring Hello Kitty and friends! From s’mores to cupcakes and caramel apples; Hello Kitty and her friends are also the star of these delightful treats. From shopping to eating; every guest will feel like they are on the Hollywood Sanrio A-List when visiting the Animation Studio store. Red carpet ready; the Animation Studio Store is now open! Hello kitty will be stepping onto the red carpet 😉 and making special appearances at the Animation Studio Store. Be sure to get our favorite star’s autograph and enjoy Hollywood like you never have before. Hello STANCE x Sanrio collection! I am always on the go thanks to my travels and foodie adventures! If you see girl with long hair rushing around town in pink hello kitty sneakers that is most likely to be me ;). Perfect for my days of painting the town hello kitty pink is Sanrio’s latest collaboration! Sanrio and STANCE have come together to bring a very special sock collection! 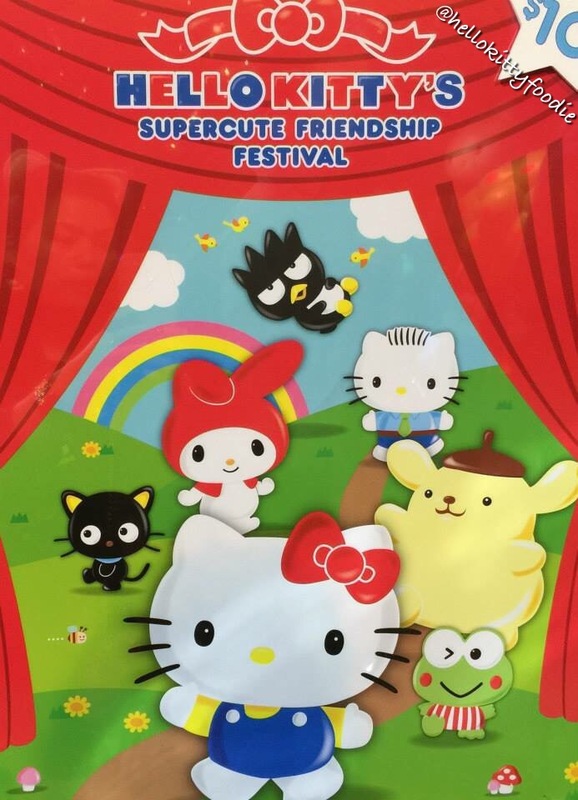 The collection will feature some of our favorite Sanrio characters like Chococat, Keroppi, Badtz Maru and of course Hello Kitty! Each sock pair from this collection is absolutely adorable. I simply cannot wait to rock these cute caricature socks! I love the Hello Kitty socks. There is one that showcases Kitty in her super kawaii red overalls. There is also a Hello Kitty Tomboy lite sock with her signature red bow in a jacquard knit. Perfect for someone like me who is always on the move is the Hello Kitty socks in a knitted grey run crew and tab height. Since I’m “hopping” from one place to the next looking for my next Hello Kitty foodie adventure, I can’t help but love the Keroppi socks too! I love everything from this new collaboration. STANCE x Sanrio doesn’t compromise comfort for style so you definitely have the best both of worlds with this. Chococat, Badtz Maru, Keroppi, Hello Kitty socks!?! I want them all! The Hello Kitty and friends sock collection includes both women and girl’s sizes and will be available this January 31st. You can find them at the Stance flagship store in Soho, NY, select Sanrio stores in the US and worldwide, at www.stance.com as well at www.sanrio.com. 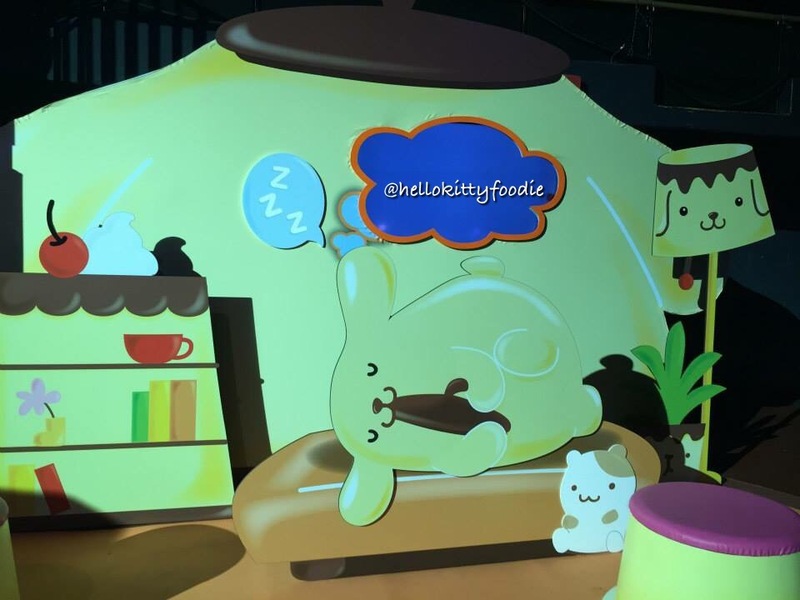 Hello Kitty Cafe Pop-Up Visit! The day all of us Hello Kitty Foodies in Southern California has finally arrived with the opening of the first ever Hello Kitty Cafe Pop! It seemed like only yesterday when I wrote on this blog a post about the upcoming cafe pop up and now it’s finally here. 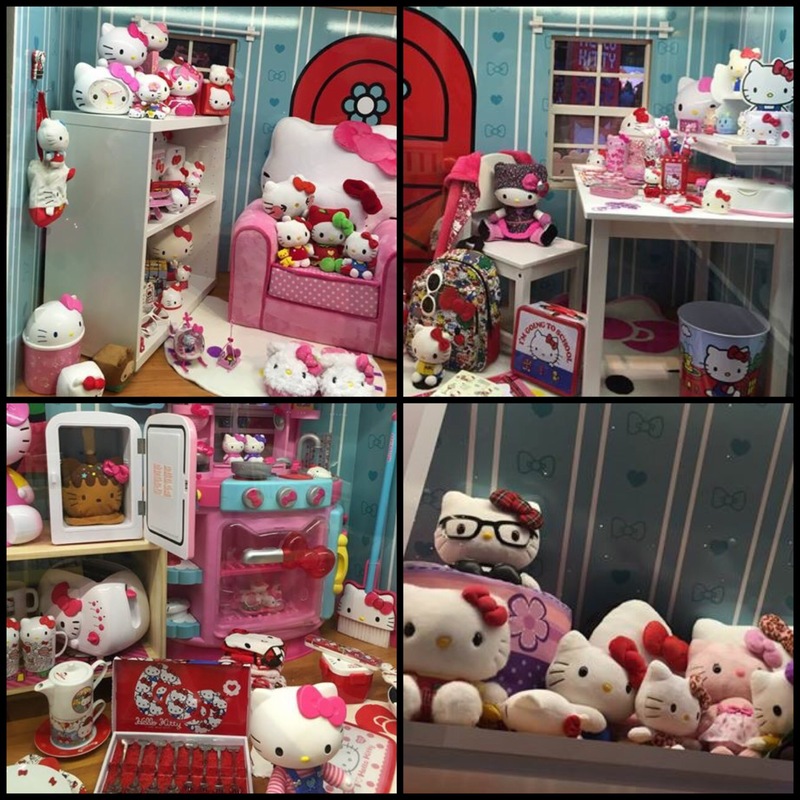 Cuteness overload and hello kitty happiness has hit California! Just this last July 15, 2016, the cafe pop up in the form of a pink metal shipping container had its grand opening at the Irvine spectrum. I recently had the chance to visit the cafe and absolutely fell in love. The Hello Kitty Pop-Up cafe is every Hello Kitty Foodie’s dream come true. The outside alone is super kawaii. With a little gate embossed with bow ties, a pink and white canopy and a gigantic hello kitty light on the top, it’s the cutest cafe in town! Right at the side of the cafe, where folks can place their orders, Hello Kitty herself is there to greet her cutie foodie fans. Not only are the sweets and treats cute but their packaging is super kawaii as well. The sweets box is very similar to the look of the pop-up cafe itself. The box is a “little cafe” with Hello Kitty and friends My Melody, Badtz Maru, Keroppi and Purin. Hmm speaking of friends, Hello Kitty’s friends were not missing at the Pop-Up Cafe because of course they were there to support their favorite Kitty friend. I spotted everyone’s favorite roly-poly penguin, Tuxedo Sam there. He was of course dressed in his best bow tie! Right by the pick up window was the whole gang! 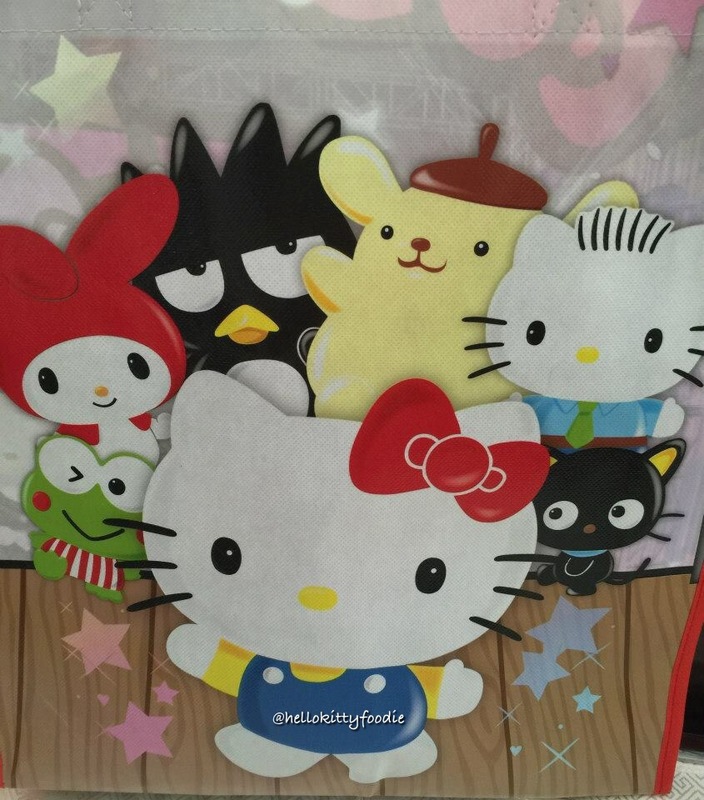 Badtz Maru, Pompompurin, Chococat, Tuxedo Sam, My Melody, Keroppi and Mimi! Every one loves the Hello Kitty Cafe Pop-Up! Speaking of the pick up window. Hello Kitty Cafe Pop-Up’s pick up window has to be the best and cutest pick up window ever. It was at this super kawaii spot that I picked up all my hello kitty treats. One of my favorite treats from the cafe is the strawberry cake. The strawberry cake is a vanilla bean custard cake with butter cream and fresh strawberries. It has little hello kitty red bow ties and hello kitty faces all around. It is almost too cute to eat! I said almost too cute 😉 hehe because one definitely needs to try this cake. The vanilla bean custard cake base is very moist. The butter cream gives just the right amount of sweetness too. A perfect pairing to the strawberry cake is the strawberry mint lemonade. Filled with fresh strawberries and mint, this lemonade is the perfect for those hot summer days! The Hello Kitty Cafe Pop-Up will be at the Irvine Spectrum for a full year and I am sure to be back for more treats and sweet times in the future. This cafe simply spells out happiness. There are so many delicious treats featuring our favorite girl Hello Kitty. The whole place is just so, so special. Cute. Happy. A dream come true. I could not help but smile from ear to ear during my visit here. Do come visit the Hello Kitty Pop-Up Cafe and be hit with hello kitty happiness the moment you come :). Have a sweet day! For more smiles, please my Yelp review on the Hello Kitty Pop-Up Cafe! It’s my 900th yelp review and truly something special and dear to me :). Hello Kitty Foodie at Hello Kitty’s Supercute Friendship Festival in LA! 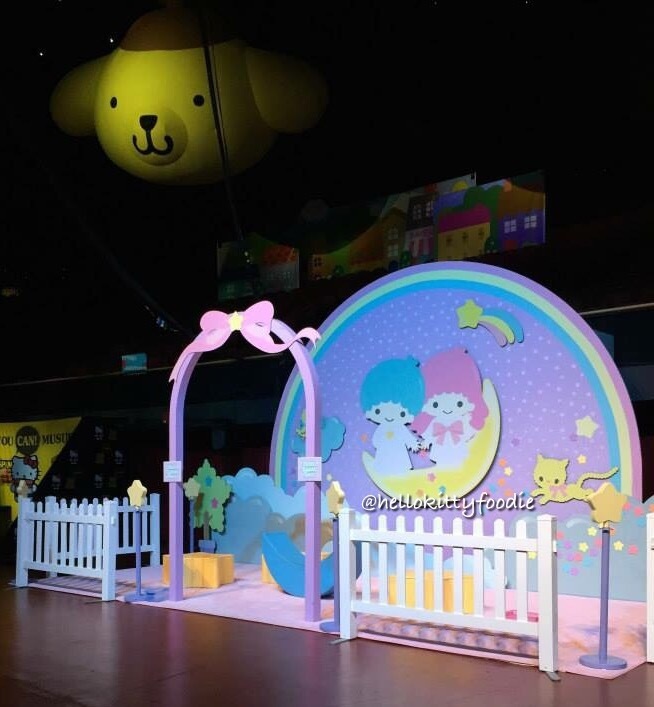 Just recently I got to go to the launch event of Hello Kitty’s Supercute Friendship Festival in LA! It was truly a dream come to true to be able to attend this event. I was so happy to see The Forum in Los Angeles filled with so much Hello Kitty and friends cuteness! Each and every guest definitely could say hello to their favorite Sanrio character because several characters had special little stations. 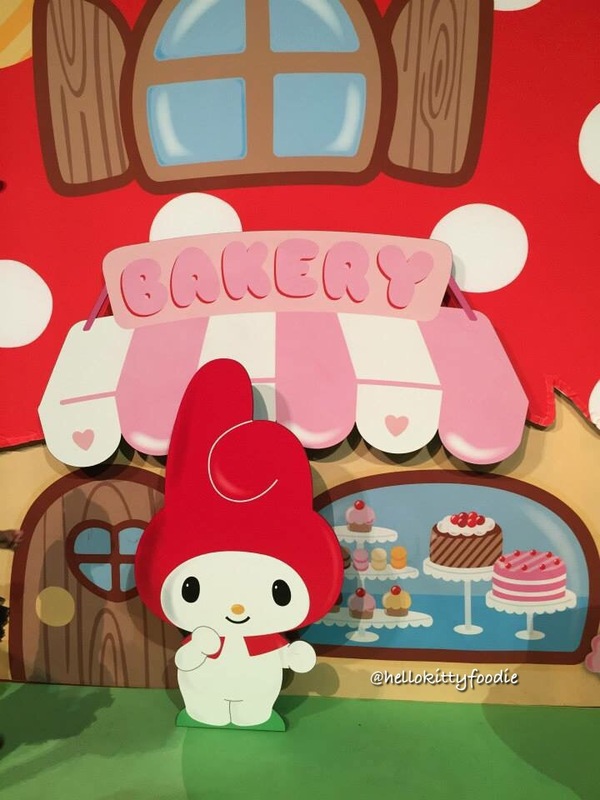 For foodies like myself, My Melody’s bakery was a must visit. It was filled with the sweet aroma of fresh baked cookies! My Melody is sweeter than sweet and so are the baked goods she makes! Another sweet spot was Purin’s house. Just like all of us foodies, Purin is a fan of sweet treats. I caught him in the middle of a nap and dreaming about his mama’s homemade pudding. How funny is it that the Sanrio characters are just like us! 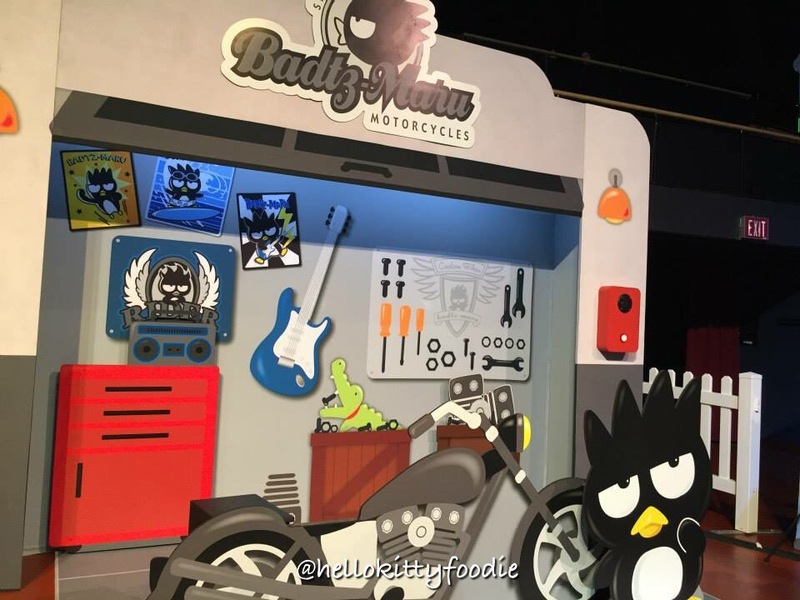 Badtz-Maru played it cool with his neat car garage! All of us foodies need some transportation to take us to the all restaurants and this penguin will make sure we get a sweet ride to get us there. I also made a wish at Little Twin Stars’ Soft Galaxy. My favorite twins Kiki and Lala’s starry starry place is so cute! 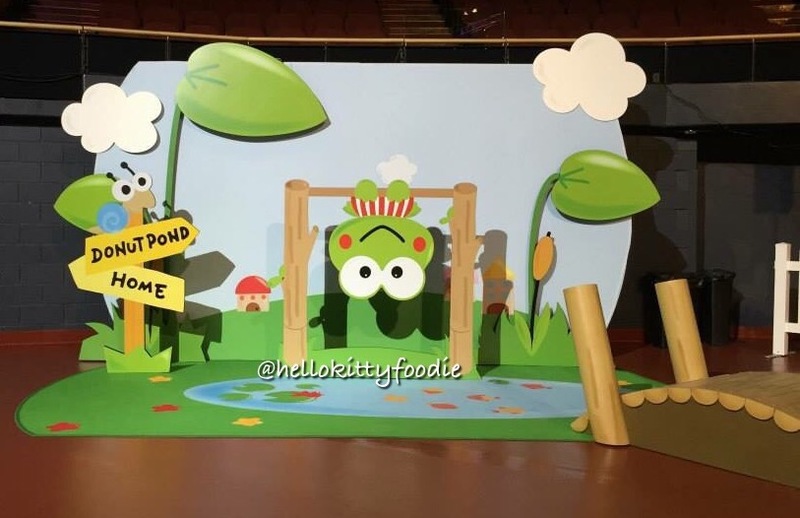 I wished for more Hello Kitty events for Hello Kitty Foodie to attend! It was so fun visiting the various places of the characters! 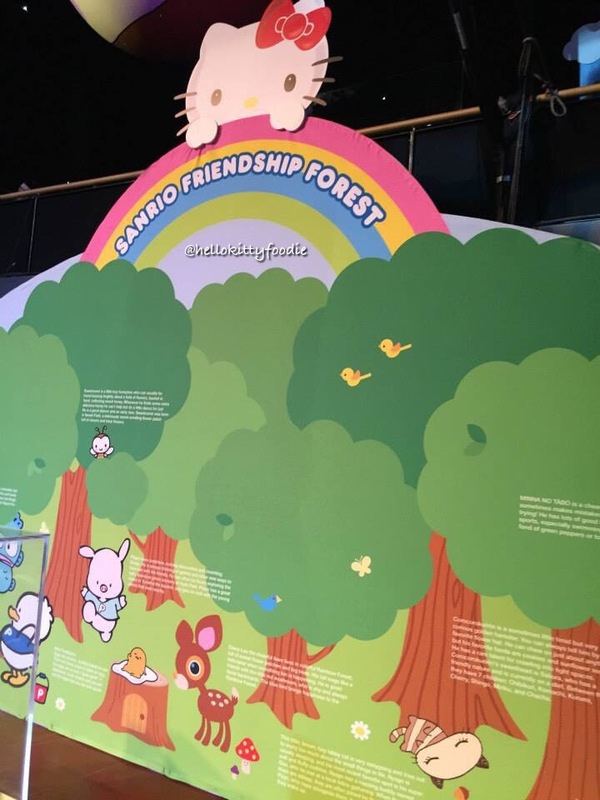 I also got to learn more about them in the Sanrio Friendship Forest! It was also lots of fun to see them in their supercute Sanrio performances on stage! Hello Kitty and friends sure know how to put on a show. Those Sanrio characters can bust a move ;). Dear Daniel is quite the dancer! Keroppi is a great DJ! I think I should invite them to my next event!! 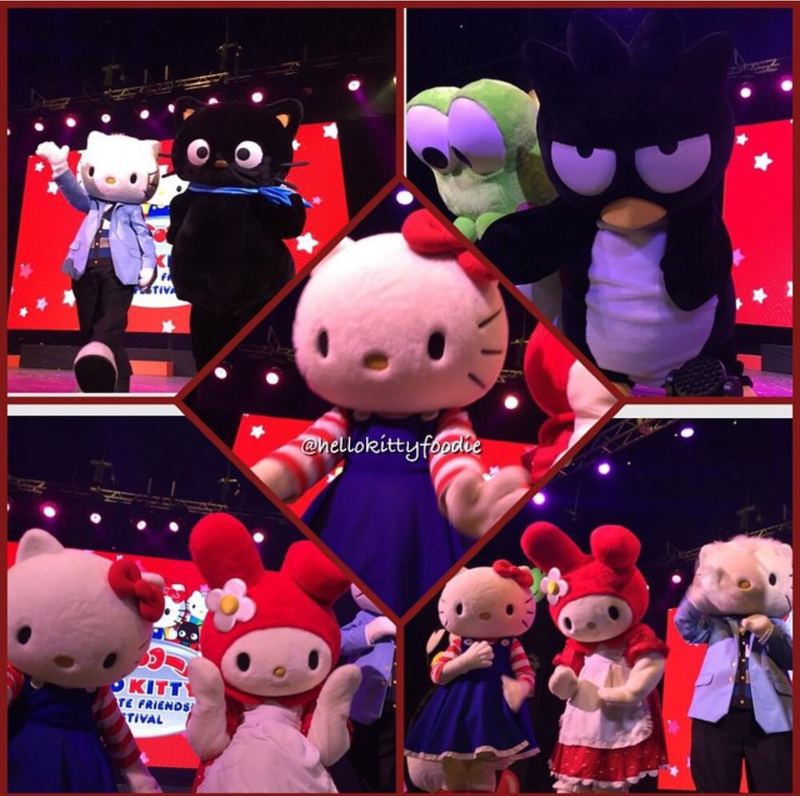 Hello Kitty Foodie was full of smiles at Hello Kitty’s Supercute Friendship Festival in LA! I love Hello Kitty and her supercute friends! Hello Kitty hugs to you all for reading!! 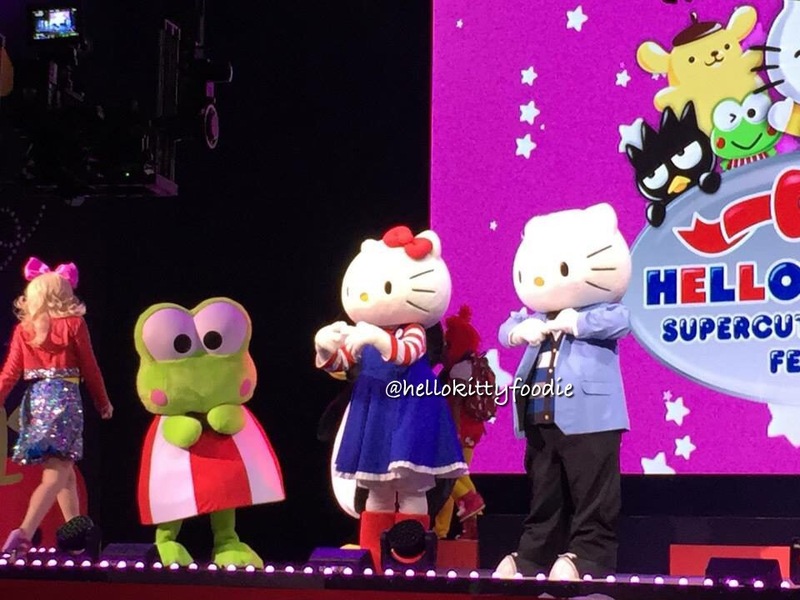 For more smiles, please see my recentYelp review on Hello Kitty’s Supercute Friendship Festival in LA.